Most documentaries about artists tend to fall on the self important side of things and often forget the purpose of the film in the first place, to entertain people. I've seen more than one film about modern art that seemed to be daring the audience to enjoy it. I was hesitant to watch another movie about a reclusive artist and his pretentious critics and supporters. I have no idea why I had that prejudice about this film but dear god I was wrong. Delightfully wrong. The film follows the career and life of Wayne White. Who is he you ask? Well thank you for asking he is an artist who got his start as an underground cartoonist in the East Village of New York then got his big break on Pee-Wee's Playhouse. 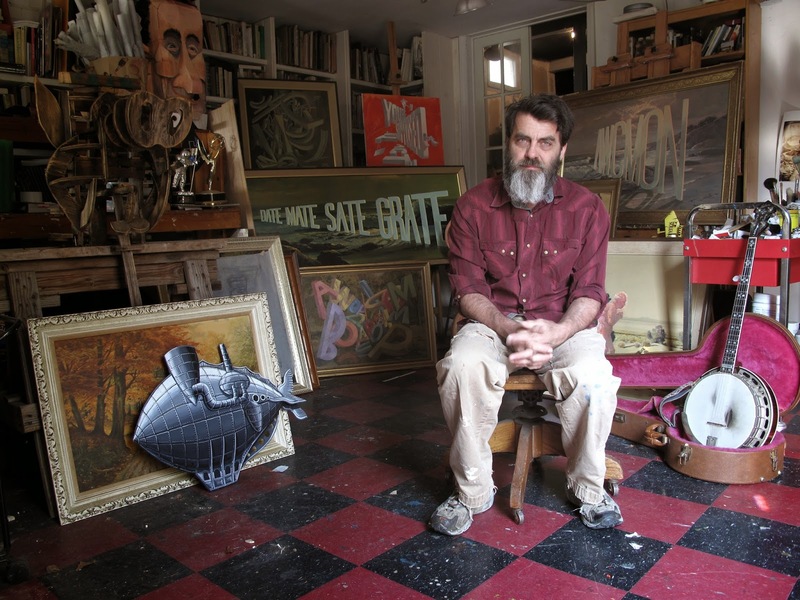 If you're not familiar with the name Wayne White chances are you're familiar with his work. He has done some truly iconic stuff and I'm so glad this film shed a light on the man and his work. These two pieces (the man and his art) were disjointed but now thanks to Neil Berkeley's film they have been connected and I would have a hard time imagining one without the other. The film is told in part through interview (critics, friends, fans and Wayne himself) and through live stage show. Some of the best parts of the film are Wayne telling his life story to a small room of people in a Tennessee bookstore. The film is heart warming and inspirational but most of all funny. Much like the films subject, the film makers obviously care about making the audience laugh. Some critics might see going for laughs as cheapening the experience but I was thankful for it. I always like to think of John A Alonzo when it comes to comedy vs. drama. The same man who shot Chinatown shot Harold and Maude. Both are near perfect films that I personally love but only one of them is a film that I revisit once a year. Only one of them is one of my favorite films of all time. Harold and Maude is gorgeous film to look at, listen to and just experience. 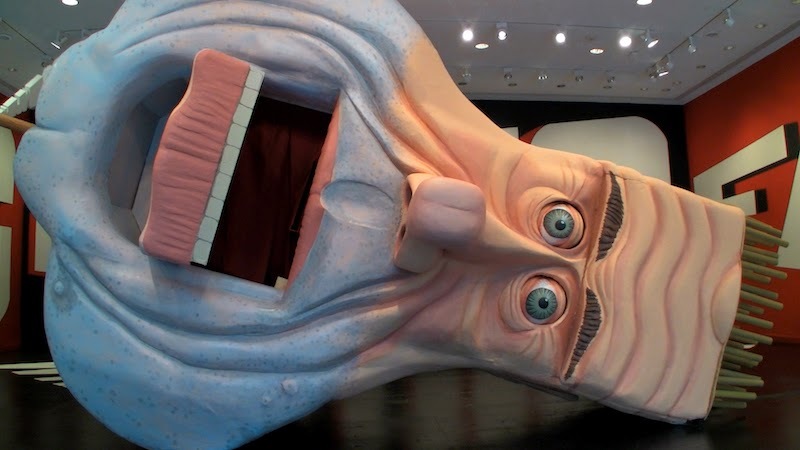 I'm not sure why we dismiss the art that makes us laugh but we should celebrate it and recognize it for how vital it truly is. The film also features interviews with Matt Groening, Mark Mothersbaugh, Todd Oldham, Paul Reubens, Gary Panter, Jonathan Dayton, Valerie Fari to name a few. This is an outsiders story. An outsider who has been on the fringe of pop-culture for close to three decades. When looking at a Tennessee landscape White remarks "Its so beautiful it hurts my feelings." I've never heard a sentiment that was that poetic, humorous, profound and fundamentally true all at the same time. In fact that brief moment encapsulates Whites work nicely. You can support the filmmakers and Wayne buy purchasing the film here. Its less than $5 and trust me its money well spent. Give up that cup of coffee at Starbuck's or that $5 footlong and go buy some art damn it.